Node.js and oracle database are very powerful tool for the development of any dependent system, But to provide incorporation between these two is always a challenge. I would like to share the procedure that could help anybody who is suffering from incorporation and integration of both systems. Use of node-oracle db plug-in to access oracleDB. let’s start with oracle java installation of machine. The “/sbin/chkconfig file” is always needed by Red Hat package, which is not used in Ubuntu. To successfully install Oracle XE we use a simple trick. Copy and paste the following into the file.“Kernel.shmmax” is the maximum possible value of physical RAM in bytes. 536870912 / 1024 /1024 = 512 MB. Execute the following to avoid getting ORA-00845: MEMORY_TARGET error. Note: replace “size=4096m” with the size of your (virtual) machine’s RAM in Mbs. Copy and paste the following in the file. Note: replace “size=4096m” with the size of your machine’s RAM in Mbs. Now you have to set environment variable just to set everything properly. Now your are done with oracle !!!! After successfully installing & configuring Oracle ,let’s start with nodejs. and download linux binaries 64 bit. Now try to access node command from terminal, it should work. Unzip file into “node-oracledb” folder at home directory. Note : “-g” is for set it globally. Now NODE_PATH and LD_LIBRARY_PATH should be exported to “bashrc”. 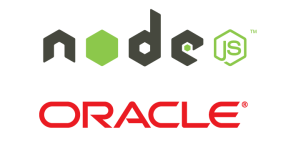 Here you are done, Now you can run nodejs code with oracle.